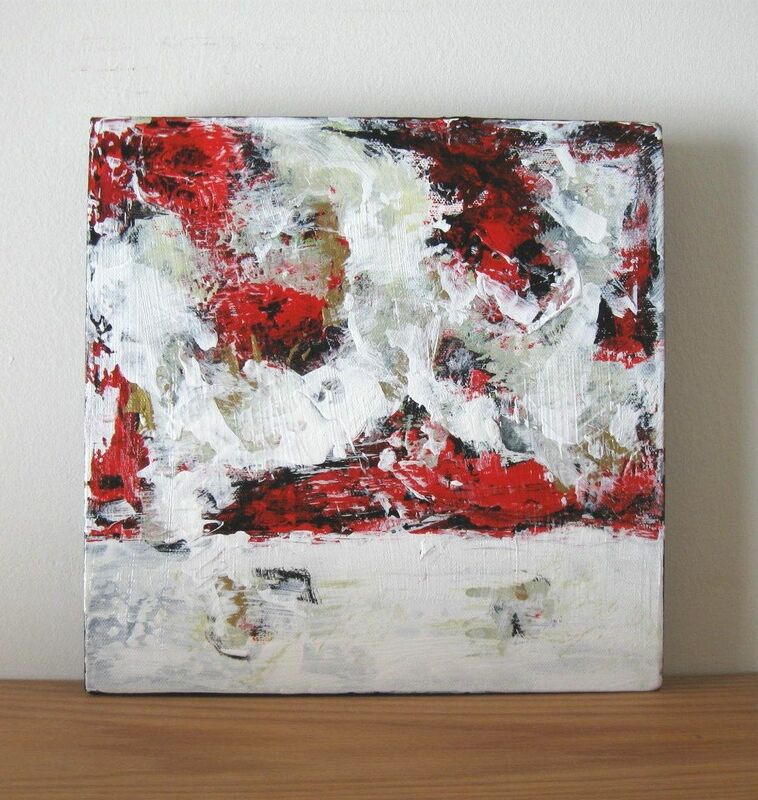 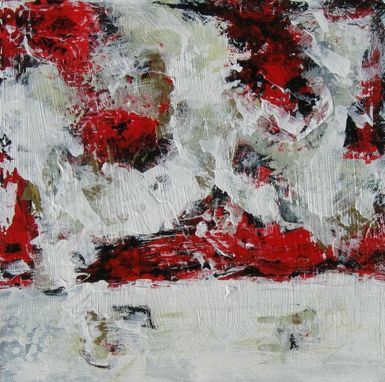 This expressionist abstract is an original and is painted in acrylics in beautiful shades of red white and black. 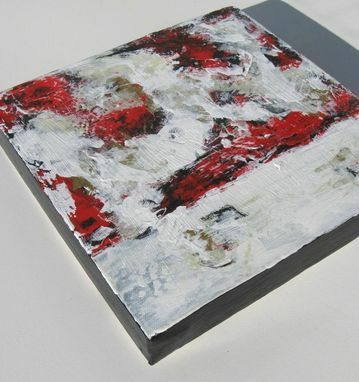 This small original makes a stunning spot of color. 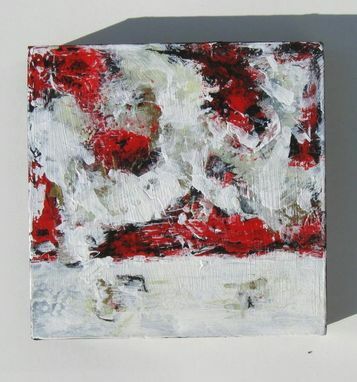 Bright and colorful, this modern abstract painting is on an 12" x 12" x 1 1/2", gallery wrapped canvas. 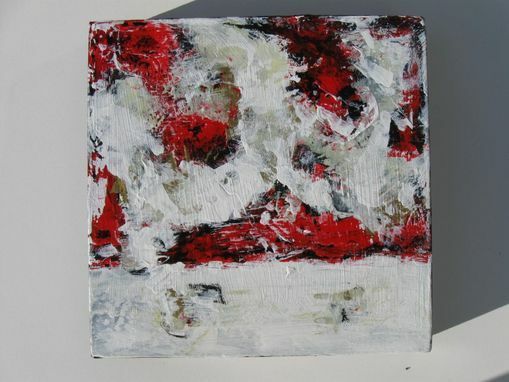 Urban, contemporary style, titled "The Red and Black"